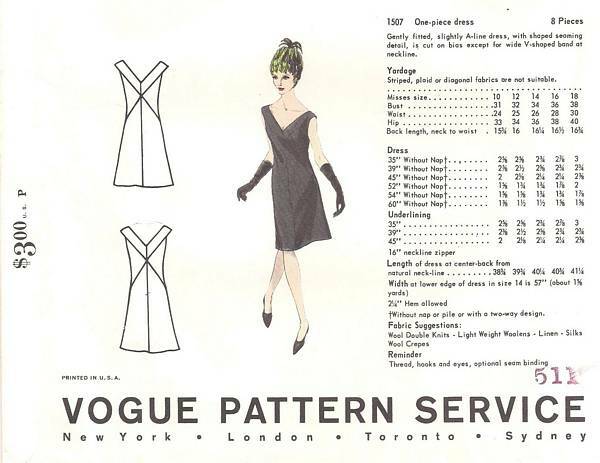 Vintage 1960's Vogue Paris Original sewing pattern. Gently fitted, slightly A-line dress, with shaped seaming detail, is cut on bias except for the wide V-shaped band at neckline. Pattern is complete and has been very neatly cut. Envelope is in excellent condition.